The Baltimore Symphony Orchestra (BSO) is internationally recognized as having achieved a preeminent place among the world's most important orchestras. Acclaimed for its enduring pursuit of artistic excellence, the BSO has attracted a devoted national and international following while maintaining deep bonds throughout Maryland through innovative education and community outreach initiatives. The BSO made musical history in September 2007, when Maestra Marin Alsop led her inaugural concerts as the Orchestra’s 12th music director, making her the first woman to head a major American orchestra. 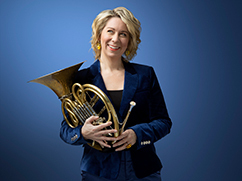 With her highly praised artistic vision, her dynamic musicianship and her commitment to accessibility in classical music, Maestra Alsop’s directorship has ushered in a new era for the BSO and its audiences. Year Established: 1916, as a branch of the Baltimore municipal government; reorganized as a private institution in 1942. Mission: The Baltimore Symphony Orchestra performs the highest quality symphonic music of all eras that nurtures the human spirit. 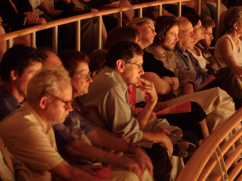 The BSO is committed to engaging, inspiring, educating, and serving its audiences in a fiscally responsible manner and to enhancing the State of Maryland as a cultural center of vitality and importance. 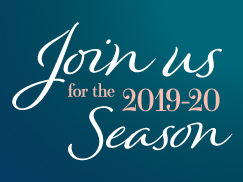 BSO concerts in 2015-2016: 130+, including classical, Off the Cuff, SuperPops and Family Series concerts, as well as run-out performances and summer programming. World premiere performances since founding: 89, including 42 commissioned works. 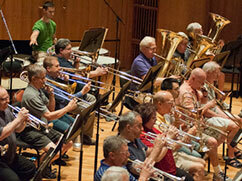 Recordings: The Grammy Award-winning BSO has achieved critical success for its prolific discography. Since becoming Music Director, Marin Alsop has made a number of recordings with the BSO. In August 2009, Bernstein’s Mass under the direction of Maestra Alsop was released on the Naxos label. Nominated for a Grammy Award in the Best Classical Album category, the critically-acclaimed album rose to number six on the Classical Billboard Charts. Between 2007 and 2009, Maestra Alsop and the BSO recorded a three-disc Dvořák cycle of Symphonies Nos. 6 through 9 on Naxos. In 2010, the BSO under Alsop was joined by pianist Jean-Yves Thibaudet for a Decca recording of works by Gershwin including Rhapsody in Blue and the Piano Concerto. In 2012, recordings of Bartók’s Concerto for Orchestra coupled with Music for Strings, Percussion and Celesta and Mahler’s Symphony No. 1, “Titan,” were released on Naxos in May and September. 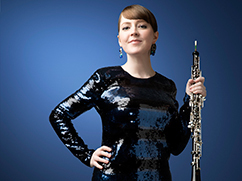 Education and Outreach: The BSO presents a Midweek Education Concert series, daytime educational concerts for area schoolchildren throughout Maryland. In addition to these programs and the BSO’s Family Concert series, BSO on the Go and OrchLab bring BSO musicians into Montgomery County elementary, middle and high schools for free, interactive music education workshops. The BSO also presents annual Side-by-Side concerts with local students from area public high schools, giving aspiring musicians an opportunity to perform and study with professional musicians. OrchKids™ is the BSO’s award-winning during- and after-school music education and life-enrichment initiative, designed to create social change within Baltimore City communities. Volunteers: The 400+ members of the Baltimore Symphony Associates (BSA) use their time, energy and financial support to benefit the education programs of the BSO. Among the BSA’s fundraising activities are the Symphony Store, Symphony Homes for the Holidays and the Symphony Decorators’ Show House. The Joseph Meyerhoff Symphony Hall has been the home of the Baltimore Symphony Orchestra since its opening in 1982. Ground was broken for the hall in November 1978 in order to provide the BSO with a top-notch concert hall befitting of a world-class orchestra. The building was made possible through the financial and administrative support of the late Joseph Meyerhoff. With the opening of The Music Center at Strathmore in February 2005, the Baltimore Symphony became the nation’s first orchestra with year-round venues in two metropolitan areas.